Most consultants focus on two areas: cutting costs and raising revenues. What do you see as the relationship between the two functions? Which do you do better? Often, but not always, cutting costs in a financially distressed business situation is a necessity. A business that had been performing satisfactorily in the past but has suffered a recent loss of revenue may find itself in a position where it is unable to generate adequate cash flow to remain viable. In a crisis situation, quickly getting a hold on costs and curtailing those not deemed absolutely necessary in the short term while at the same time evaluating and developing a strategy for turnaround may be a first step, as well as the deployment of tools to manage cash and other assets. At Level Ten we first assess the significant enterprise processes to determine which of those add value and which can be modified to eliminate waste, whether the product or service is meeting the customer demands and at the same time produces profit for the company, internal and external communication, and how resources are managed. We are able to utilize all available strategies including cost management, revenue enhancement, organizational and infrastructure improvement, and such other tactics necessary to fulfill the objective. What was your professional experience before you became a consultant? All Level Ten team members have significant experience in their respective areas of expertise; some have even personally experienced the trauma of owning businesses that ultimately were not successful. Collectively, we have fulfilled virtually every role in consulting and management as well as in various labor positions, including the top spots of CEO, COO, CFO, President, and senior level vice president roles. Although we do not practice in these professional disciplines, we have resources with Certified Turnaround Professional (CTP) certification through the Turnaround Management Association, public accounting (CPA), management, psychotherapy, medical services, and others. How many professionals work with you or at your firm? Level Ten has a team of full-time permanent partners or associates, as well as contractors or affiliates with demonstrated core competencies from which to deploy in a given circumstance. While we prefer a team approach, each engagement situation is unique and deployment of resources is determined according to the circumstances that will deliver the best possible results. As the demand for additional resources due to the firm’s workload increases, more will be added. Will you sign a letter of confidentiality? Will you refrain from working for our competitors? If a specific letter of confidentiality is foundational to maintaining a relationship, Level Ten will give consideration to such a request provided it does not restrict engagement with other prospective clients on future projects. We stake our professional reputation on safeguarding all proprietary knowledge and information derived from prior engagements, just as one would expect from a CPA, financial institution, or law firm. Who are some of your other clients? Who are some people and companies with whom you've worked before? Were you successful in fulfilling their need? Can I call them to ask about your work? Level Ten professionals have had extensive experience in the region with various companies over the years, some of which have had public visibility. As a policy, we restrict disclosure of client names to only those for which public disclosure is characteristic, such as receiverships or bankruptcy cases. We have letters of recommendation and endorsements from third parties with which Level Ten professionals have worked in the past, and in the event a request is made to speak to one of those parties, we would first need to obtain permission from that party. We are happy to relay our experiences with past situations without disclosing confidential information that will prepare you for what to expect as well as to give you confidence in choosing the right consultant. With how many clients do you work at one time? Do you have enough time to devote to our company to accomplish our goals? Will you return phone calls or emails the same day? We may have several engagements running simultaneously. Each one is properly staffed according to the situational demands. We deploy additional resources where necessary so that no client receives less than full attention. Level Ten professionals operate professionally, courteously, and respectfully; responding to requests in a timely manner is standard practice. Will you teach us to do this work for ourselves and become self-sufficient? How long will this take? Level Ten prides itself in not just delivering the needed service, but in educating and training its clients’ personnel so that they can become proficient and independent to the greatest extent possible. The addition of the dedicated executive coaching and leadership development core competencies makes Level Ten unique among most consulting firms. Tools developed for cash and credit management, as well as those designed specifically for a stated objective are usually provided to the client to continue to use. The time required depends upon the skill level of the company’s staff, the particular situation, and external requirements. Have you written anything - published or not - that deals with issues like the ones this company faces? As consultants, we enjoy writing about our experiences and strategic theories. At times this may be difficult reading, but it will usually help you understand how we see markets and business factors that may affect you. 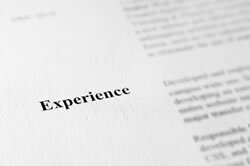 We have provided case studies that deal with specific situations we have personally dealt with in our past experience, and how those eventually played out. If you are seeking more information on consulting situations, the Internet is a great resource or such publications as the Harvard Business Review or experts’ writings in trade or regional newspapers and journals. How do you charge for services? Do your fees include travel time and other miscellaneous charges or are those billed separately? Level Ten’s standard practice is on a straight fee basis, although certain exceptional situations may warrant other arrangements such as fee plus performance bonus, or a contingency basis. Our mutual concern is in assuring the highest quality of work while being conscious of the related costs. We always discuss and agree upon the fee arrangements in advance of any work performed, and document our complete understanding of the terms of the engagement in writing. We do not like surprises and know our clients do not either, so we endeavor to clearly communicate the expectations up front and throughout the term. We often require up-front fee retainers with weekly reporting and invoicing of fees. What kind of documentation will you give us when the project is completed? Who will own that documentation? Keeping a documented trail of the work performed for the client accomplishes several ends, all of them good. We will usually give you some forms and tools that you can use to improve your performance or maintain strategies that have been implemented during the engagement. It also allows you to keep a record of the analyses made of your company that can be used as a pattern for future decision-making. This can be a big help when dealing with future problems or other consultants. In general, all work including spreadsheets, computer programs, mechanical devices or literature we generate for you becomes your property.